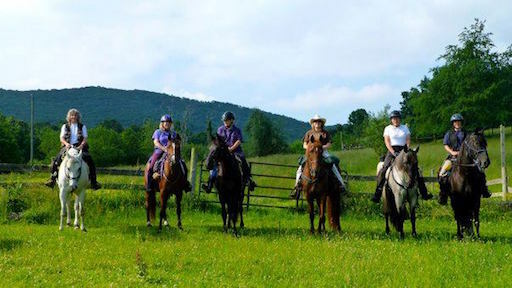 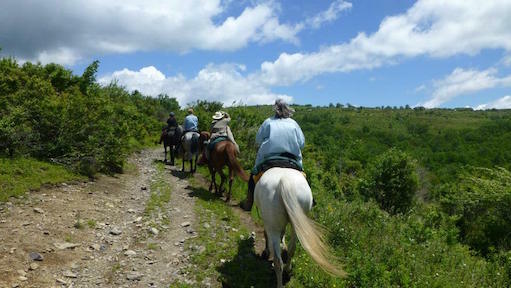 The BCHVH is a 501-C3 non-profit service organization committed to maintaining horse and multi-use trails in the Mount Rogers National Recreational Area in SW Virginia and in the surrounding areas. 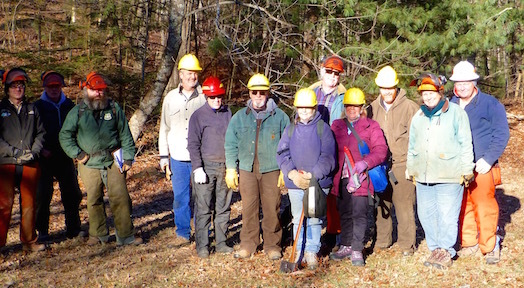 The BCHVH partner with land management agencies and other trail users to solve maintenance problems and to be a voice in the planning of future trails and trail systems. 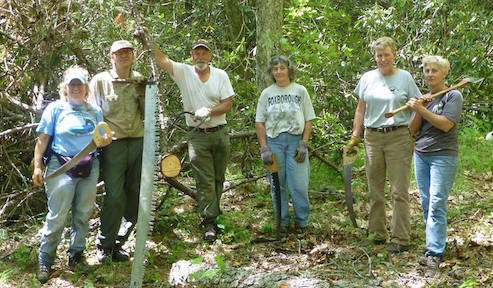 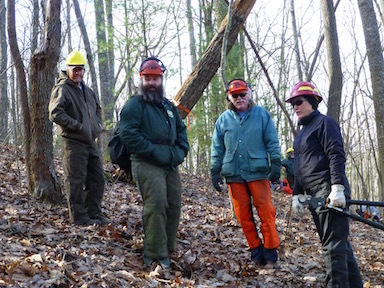 The Back Country Horsemen of the Virginia Highlands organize trail work days and rides to improve trails and to encourage all user groups to practice the principles of Leave No Trace. 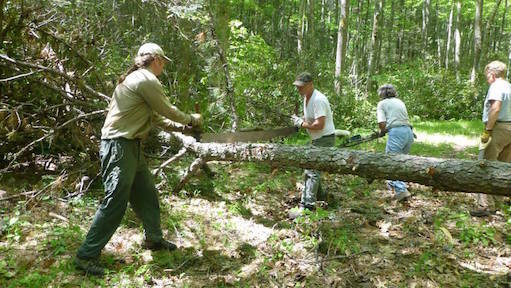 With cuts in funding and manpower the the Forest Service looks to volunteers to help keep trail maintenance and projects moving forward. 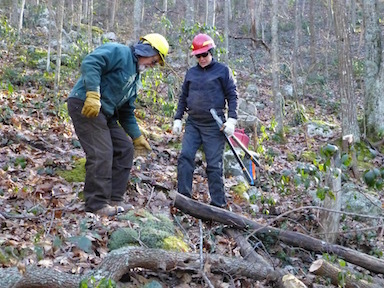 If you want to join us and have fun giving back to the trails please download a membership form from our Files page! 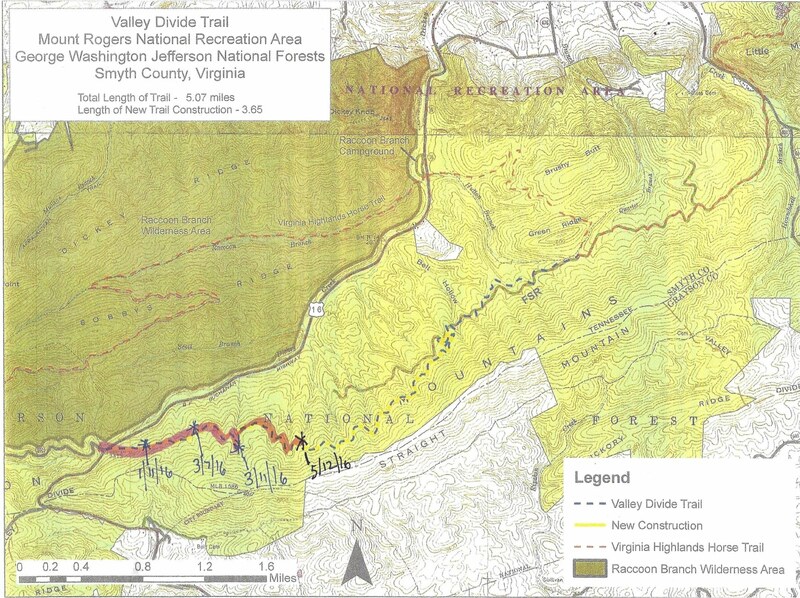 The BCHVH has agreed to adopt the Little Dry Run Trail through the Little Dry Run Wilderness. 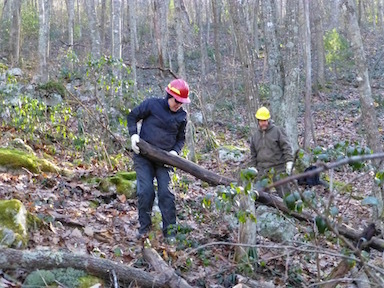 Since this is a wilderness trail all work is required to be done by hand. 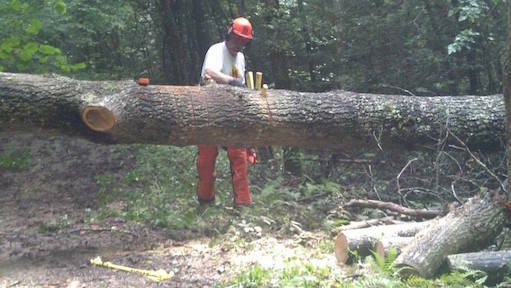 Several members are crosscut saw certified which will help with the cutting and clearing. 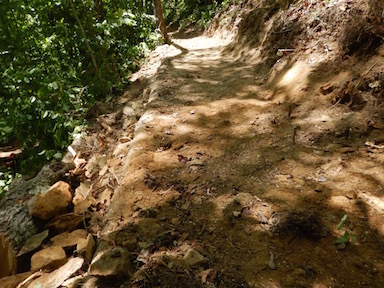 This trail has been neglected for many years and is in dire need of some TLC. 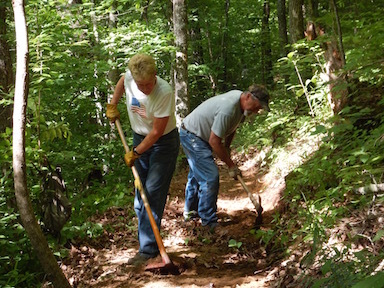 Several work days will be scheduled in the coming year on this trail. 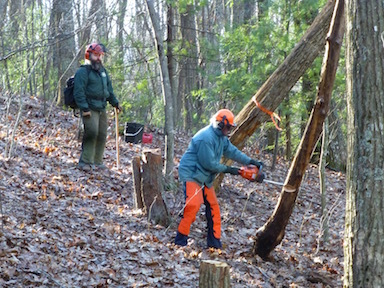 UPDATE- NOVEMBER 3RD, 2018 A GROUP OF BCHVH MEMBERS AND FRIENDS CLEARED THE ENTIRE TRAIL. 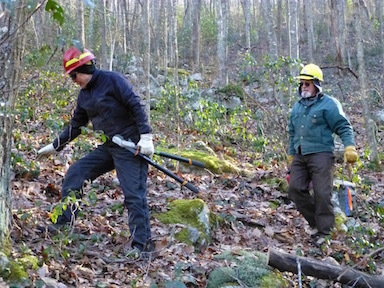 STAY TUNED FOR FUTURE WORK DAYS ON THIS WILDERNESS TRAIL. 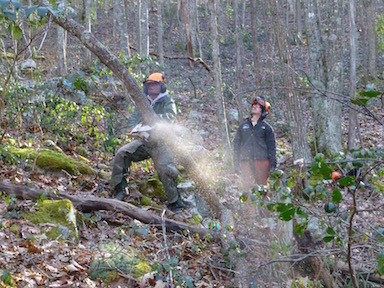 Also the BCHVH has been asked to assist the Forest Service in removing debris from an old outhouse building in the Raccoon Branch Wilderness. 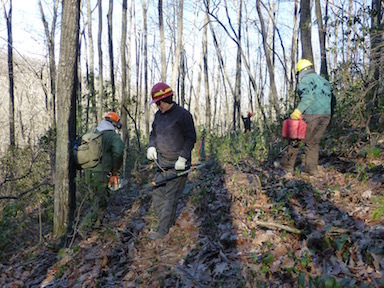 We will need to pack out the debris out so if you have a pack animal, we could use your service. 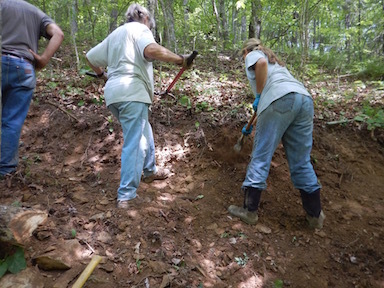 We would like to include other BCH groups in the area on this project. 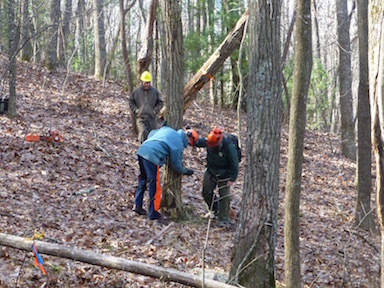 UPDATE- THIS PROJECT WILL BE IMPLEMENTED IN THE SUMMER OF 2019. 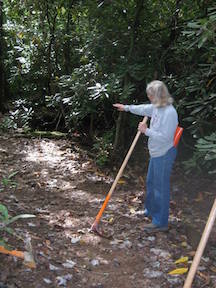 CONTACT US IF YOU ARE INTERESTED IN HELPING. 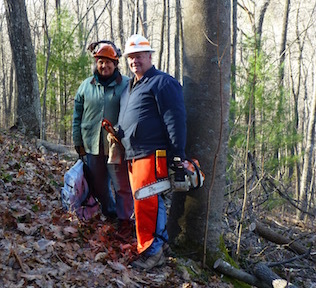 Back Country Horsemen of the Virginia Highlands- making a difference on the trail!